Addressing the gathering, Kate Chambers said: "On behalf of the team at Clarions Gaming, I would like to welcome you once again to London and thank you for your support." "ICE London 2019 is officially the biggest edition on record," she continued. 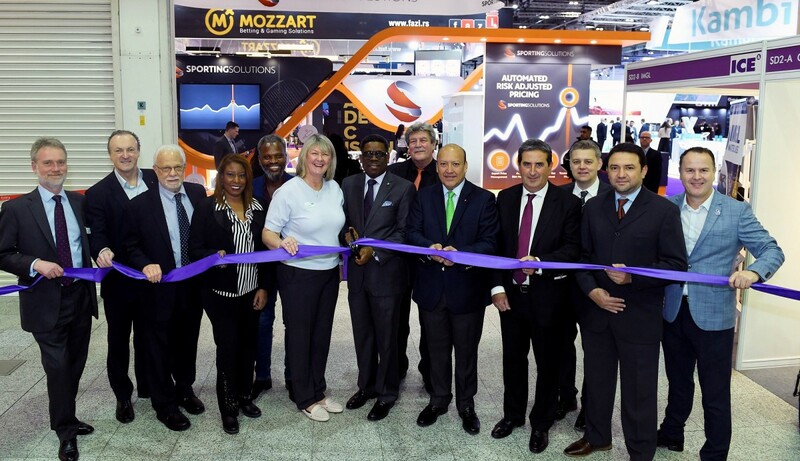 "The show floor features 612 exhibitor brands from 67 nations occupying 47,500sqm of net space and 38 of the 44 halls at our ExCeL London home. The real attraction for gaming professionals travelling to London is the guarantee that they will be able to engage with the very best, smartest companies drawn from all sectors of the gaming space. It's technology that keeps on revolutionising the market and, as our creative states, this is a genius industry - and the best place to experience that spirit of genius is at ICE London." Alongside the world's biggest gaming technology exhibition, visitors also have the opportunity to participate in ICE VOX conferences. This year's event comprises five separate learning experience hubs featuring over 120 high profile, tier-one thought leaders delivering more than 40 hours of business-centric learning. Tracks include: Advertising & Marketing; Artificial Intelligence; Cybercrime & Security; Esports; Modernising Lotteries; the World Regulatory Briefing, and the International Casino Conference. ICE London will also feature social responsibility at the top of its agenda. This year's Consumer Protection Zone features the international industry's most forward thinking responsible gaming organisations and Clarion Gaming is hosting charities and non-profit organisations on a complimentary basis.